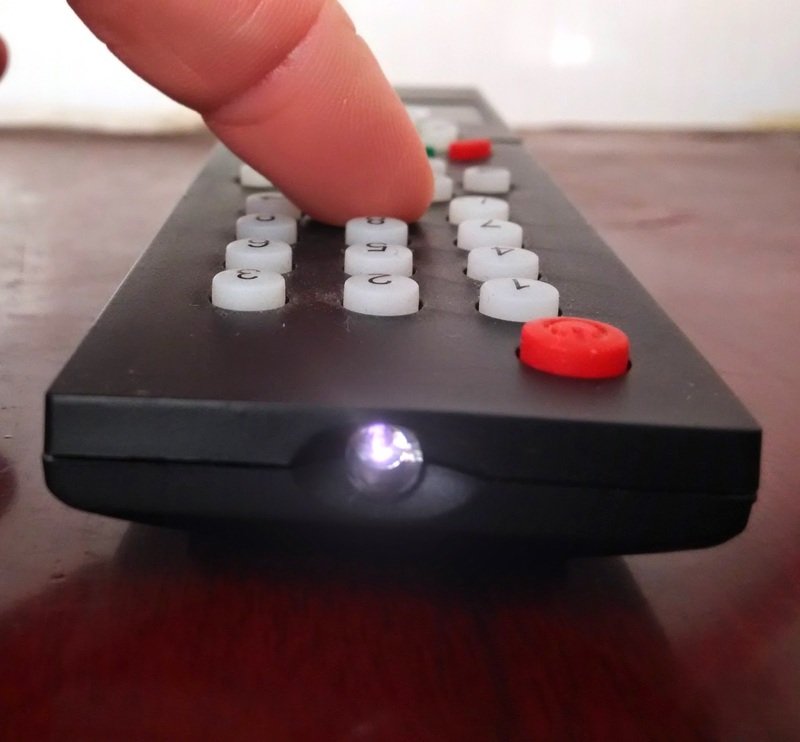 Most nice remote controls have an LED that will blink when you use it. This lets you know that the batteries have a charge and the remote is probably emitting an infrared signal. 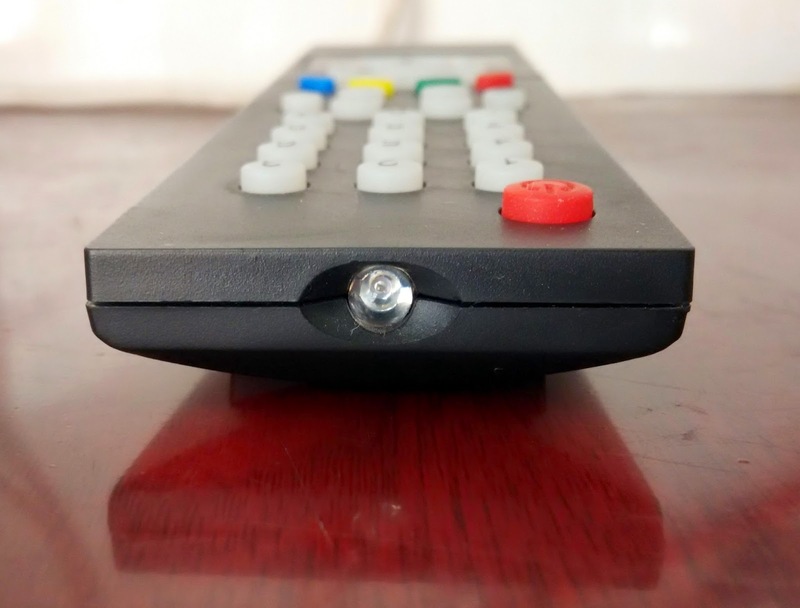 So what happens when your remote does not have an LED and you need to know if the remote is transmitting a signal or not? Simple; point the emitter at a digital camera (like the one on your smart phone) and press a button. If it lights up, you are good to go, if not, you probably have a dead battery. 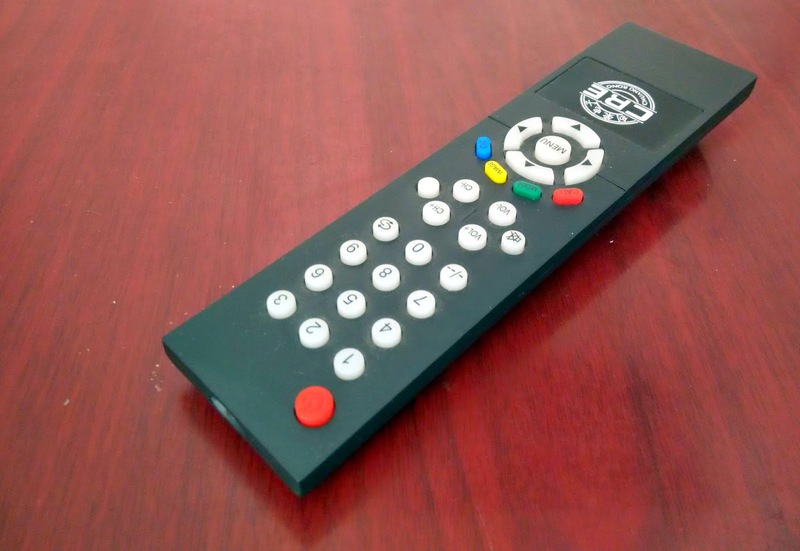 Here is my remote control with no LED. I thought the batteries were dead. I am taking a picture of it with my smart phone (digital camera). I obviously am not pressing any buttons right now. When I do press the button I can see it light up... it is a purpleish light. Batteries must be working!